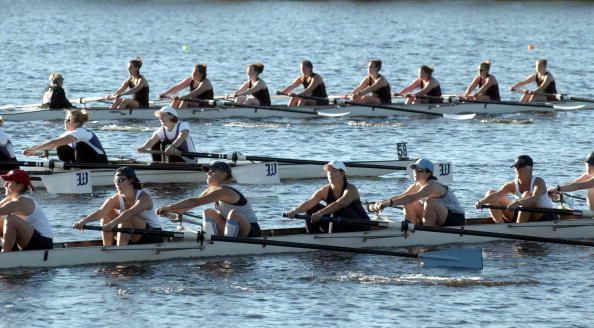 Several dozen private schools in the northeast offer rowing, referred to as a crew team, as a sport. Many have been doing it for years and compete regionally and nationally in the spring and fall regattas. Schools often offer both advanced teams for experienced rowers and opportunities for beginners to get their feet wet. Comments: Belmont offers grades 7-12 which is a little different from the usual 9-12 grade offerings. This enables Belmont to focus on what it does very well: developing a young man from early adolescence through to maturity. The school has a limited boarding program. It enjoys all the amenities which its greater Boston location affords. And, of course, the crew program is first rate. Crew is but one of the many sports offered at Berkshire. It is also a big hockey school. Couple the strong sports offerings with a serious academic environment and you have a balance not found in every school. The emphasis on the environment is appealing as well. Sheffield is a beautiful setting for a boarding school. It is easily accessible from Albany and Hartford airports. "Brewster crew began in 1989 as a recreational program. Since then, it has evolved into a multi-level competitive program. Because of school size, Brewster primarily races fours. The goal of the program is to develop student athletes into cohesive crews to be competitive in the New England Interscholastic Rowing Association (NEIRA) and U.S. Rowing Association junior team ranks." "Rowing at Brooks School on beautiful Lake Cochichewick has a rich and successful history. Established when the school first opened in 1926, the boys crew program instantly became a strong force and continues to be a leader in the interscholastic league. Our rowers often go on to row in college and among our alumni we have several national team and Olympic rowers." "The Crew program operates in the fall and the spring. The fall program is generally limited to two 8-man boats with a few extra students training with the team. Only upper class men are eligible to try out for the fall program. The spring program is open to all interested students and there is always a large contingent of freshman and sophomore novice rowers." "In the 1890's our crew program started on the Charles River putting us among the oldest interscholastic high school crews in the country. The 1929 Crew was the first United States schoolboy crew ever to win at Henley Royal Regatta in England winning the Thames Cup." "Founded in 1915 and still guided by lay Roman Catholics, Canterbury is a college preparatory, coeducational boarding and day school for students in grades 9-12." "Convent of the Sacred Heart consistently fields highly competitive Middle School and Upper School junior varsity and varsity teams in a variety of sports. In fact, in both the Middle and Upper Schools, Convent of the Sacred Heart has established a strong record in recent years, typically winning competitions and placing at or near the top in league standings in cross-country, field hockey, tennis, basketball, swimming, squash, golf and lacrosse." "The sycamore tree now towering in front of the Academy building still bore the bare branches of a New England winter on March 1, 1797, when Governor Samuel Adams signed a bill granting a charter for the founding of an Academy in Deerfield. The school's trustees pledged the Academy to 'the instruction of youth, and the promotion of piety, religion, and morality.'" "Derryfield School Crew's schedule now regularly includes the New Hampshire Championships, the North East Regionals, the New England Interscholastic Rowing Association Championship Regatta, the Head of the Charles, and dual races with some of the most prominent secondary schools in the northeast." "To paraphrase an old automobile commercial, Dexter is not your father's elementary school anymore. Today, Dexter is your son's K-12 school. It is a school that for over 80 years has been preparing boys to meet the challenges of their world with strong minds and bodies and a firm ethical foundation. That mission has not changed. The grade levels offered have evolved, but the principles and values taught, honored, and lived daily at Dexter remain remarkably the same for all students, no matter their age." "GA girls are bright, earnest, kind and eager to learn. Since 1827, generations of girls have contributed their unique and diverse stories to our community. While traditions like Ingathering and Charter Day bring us together and foster a sense of belonging, the warm and inclusive atmosphere of our school is derived from our deep appreciation of what each individual gives to the GA family. Together, we put forth our best efforts in academics, the arts, athletics and community service. The pursuit of excellence is a natural process for GA girls, who remain ever mindful of our motto - Ad ingenium faciendum, 'Toward the building of character.'" Comments: Rowing is one of the most popular sports at Groton. And that is saying something because Groton has a very strong athletic program. Combine that with a rich academic program which aspires to and attains the highest standards, and you can understand why admission to this top prep school is so highly sought after. Make sure you offer what the school is looking for. "Over the last several years, The Gunnery has emerged as a recognized rowing power, finishing in the top six or better at the NEIRAs, winning the high school division at the prestigious Head of the Charles regatta eight times in the last ten years, and winning the New England Championships in 2004. We have had a number of rowers compete on the US Junior and Senior National Teams and many have forged careers in Division I rowing." "The school began with a focus on Five Words: Courage, Integrity, Leadership, Curiosity, and Concern, and the cardinal principle that every individual was born with a unique potential that defines a destiny." Comments: Crew is just one of a myriad of athletic activities offered at Kent School. The academics are strong as well. Kent's location just 2 hours north of New York City makes it easily accessible from all parts of the country, and, indeed, the world. Kent is a competitive school. Match what the school is looking for with what you offer and you will stand a good chance of getting in. "Lincoln School prides itself as a place that actively promotes respect for each individual. Our students come from a broad range of cultural, racial, religious, economic, and educational backgrounds. Diversity is central to the mission of the school and reflects the Quaker tenets of equality, peace, and community. Our diversity is an essential part of our students' education and fosters an involvement in the world beyond Lincoln. 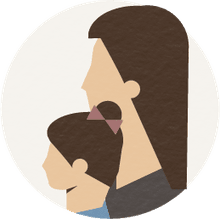 It also enables us to think about differing world views, a variety of ideas, and unimagined approaches to problem solving." "A founding member of the sixteen-school Independent School League, Middlesex boasts a winning tradition all across the ISL. Athletes at Middlesex are noted for their commitment to the ideals of teamwork, leadership and fair play. Because we number among the smaller schools in the league, Middlesex counts on the enthusiastic participation of its students and their ability to function as a team. Typically at Middlesex, younger athletes can hope to rise quickly to varsity teams. The athletic experience helps to build community and confidence on campus." "We began with a single borrowed eight in the spring of 1994, under Brad Choyt. The next year money was given and raised, from Ancients and spouses, by Clint Allen to provide for new Vespoli shells, oars, launches, engines, and a dock. Brian Ford took over as head coach, with Brad Choyt coaching the third and fourth boats. That year we entered the New Englands at all four levels; three of the four boats qualified for the Grand Final an unprecedented arrival on the New England scene. The next year we were third at the championships; since then, we have finished no lower than fourth in New England, and usually first or second, with almost every boat in the Grand Final every year." "The Nobles Boys Crew program has a rich tradition, with its top two boats always pulling at the top in New England Championships at the end of the season. The program features varsity, junior varsity, and middle school levels of competition. The Bulldogs race fours with a coxswain. There are four boats at the varsity level, two at the junior varsity, and one in the middle school." "Northfield Mount Hermon offers one of the broadest athletic programs among secondary schools in the country. Students compete in 21 interscholastic sports on more than 60 teams that include varsity, junior varsity, and junior levels. In addition to interscholastic teams, NMH runs intramural athletics (soccer, basketball, volleyball, and softball), and offers an extensive outdoor program." "Crew has been offered at Phillips Academy since 1955, and a girls' crew program was established when Andover became a co-educational institution in 1976. Our boathouse sits about six miles from campus, located just behind the Greater Lawrence Vocational School, alongside Andover's Deer Jump Reservation on the Merrimack River. Two school buses transport the team back and forth each day. In the fall, close to one hundred students participate in an intramural rowing program. During the spring term––our competitive season––we have approximately five boys' and five girls' eights on the water." "Exeter's academic offerings are unrivalled: 350 courses in 19 subject areas. The student to teacher ratio, 5:1, lets students explore the world with great support from the adults in the community." Its crew program is in the same league. "Pomfret School maintains rigorous academic standards and holds high expectations of its students and faculty. Students should come to Pomfret eager to learn, problem solve, and question with a high curiosity. The Pomfret community fosters an intellectual freedom that requires academic discipline and creates opportunities for hard work and play. A Pomfret education is not just the acquisition of information or learning other people's ideas, but it is also the process of growing as a person and as part of a community." "The crew rows single, double and quad shells on the Connecticut River and competes in a variety of scholastic races in spring and fall. In past two years the crew has won a variety of team and individual awards against high school and college competition." "Salisbury has won national championships in the U.S., Japan and England and has competed many times at the Royal Henley Regatta. A southern trip has become part of spring training in the last few years. Graduates have gone on to row at many Division I colleges and also competed for the United States at the World Championships, Pan-American Games and Olympics. The Salisbury boathouse is full of state of the art shells and is ready for the next millennium of Salisbury champions." "The crew season begins with intense training on the ergo meter as well as in the weight room. Boys learn the techniques of rowing and strengthening the necessary muscles to compete as a strong crew. Boys are placed in boats based upon their ability and experience, and they may participate in both varsity and "lower boat" crews." "At St. Mark's School, athletics are a natural extension of the classroom experience. The school believes participation on an athletic team is an integral part of a student's education - one that fosters hard work and enthusiasm while teaching cooperation, sportsmanship, and discipline." "Over the years, a tradition of success has come to be synonymous with SPS crew. The boys program has captured numerous New England titles at the Worcester Regatta, one national championship, and has three Princess Elizabeth Cups from Henley to its credit. Last year's boys were ranked first in the New England Interscholastic Rowing Association, before their season was ended abruptly by the flood. Where last year's season ended early, this one has started late, with one of the latest ice-out dates in history; so the boys will initially look to the strength developed on land, rather than to carefully honed technique." "Tabor Academy is an exceptional community, distinguished by genuine friendliness, astonishing creativity, and a truly stunning breadth of academic courses, extra-curricular activities, athletic programs, and artistic endeavors." "Founded in 1890, The Taft School is a coeducational boarding school for 570 students in grades nine through post graduate. Living where they learn, academically talented students from all over the world are guided by an extraordinary faculty on a 220-acre campus in Western Connecticut. With the motto "Not to be served but to serve" as a moral foundation, Taft graduates matriculate at our nation's leading colleges and universities." "The Winsor School is dedicated to developing the individual talents of academically promising and motivated girls in grades five through twelve. Its rigorous academic curriculum is complemented by strong offerings in the arts and physical education. The school helps students build a foundation of skills and knowledge to serve as a lifelong base for independent thinking, problem solving, creativity, and wise decision-making." Data and Information on Military Schools in the U.S.
Do You Know Where Bill Gates Went to School? What Are the Oldest Boarding Schools in the US?